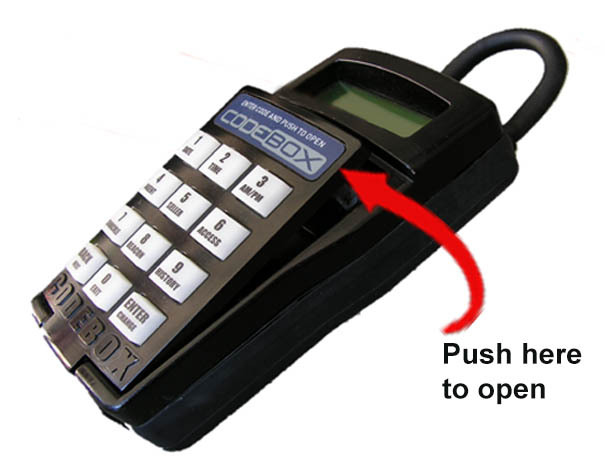 Enter your access code on the keypad. Push on the top portion of the door labeled “push here to open” to open door and access key. Note: If there are repeated unsuccessful access attempts a phone number will be displayed in the message window for you to contact for assistance. Also, in the case of a technical issue, please contact the toll free number located on the back, or bottom of the lockbox.